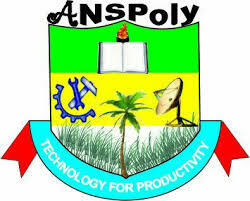 The management of Anambra State Polytechnic, Mgbaukwu has released the list of candidates admitted into the various progtrammes offered in the school for the 2017/2018 Academic Session. All candidates who applied for admission in the school are to proceed to check their admisson status on the school's website. -Enter your Username and Password in the space provided to Login and check if you have been offered admission. Successfully admitted candidates are to proceed with the payment of acceptance fee and registration immediately. Registration for the New Students starts on Thursday, 18th January and ends on Friday, 2nd February, 2018. Lectures begin for the New Students on Wednesday, 24th January, 2018.